Corvus Energy has announced that it has been selected as the supplier of a lithium ion based energy storage system (ESS) for the hybridisation of Farstad Shipping’s PSV Far Sun being integrated by Vard Electro, in the second half of 2017. The Orca Energy ESS from Corvus will supply electrical power to the PSV’s propulsion system electrical network to enable environmentally-friendly and lower cost operations. The energy storage system will be utilised during all aspects of the PSV’s operation, particularly during dynamic positioning and harbour operations where fuel consumption and emissions will be significantly reduced. 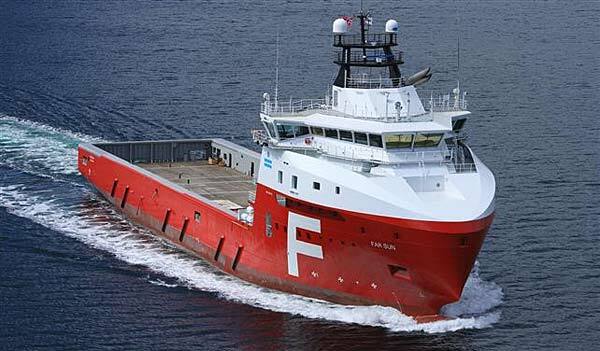 Equally important to Farstad and Statoil (who maintains a long-term charter for the PSV), the ESS will increase safety through provision of spinning reserve for improved response time as well as increased redundancy. Statoil, an important client of Farstad Shipping, is focused on improved safety, efficient operations and reduced environmental impact. Through a long-term contractual relationship and a strong emphasis on reducing emissions, Statoil has been a key element in the efforts to have battery technology installed on board Far Sun. “The energy storage system will provide significant savings for Farstad and Statoil over time, enabling the ship to more efficiently utilise energy produced by the generators, as well as simplifying the use of shore power. This will substantially reduce consumption and emissions. Another effect is less noise from ships in port,” says Christian Søvik, VP Global Services of Vard Electro.